ZSL's Library contains archival photographs of animals formerly at ZSL London Zoo and ZSL Whipsnade Zoo. The black and white photographs date back to 1864. Many of these animals are now extremely rare, some, such as the quagga, are extinct. Other graphic sources in the form of illustrations, prints and watercolours, date from the sixteenth century onwards. Reproductions of the images are available at a fee to those who might want to use them in publications or multimedia through our Commercial Image Library. 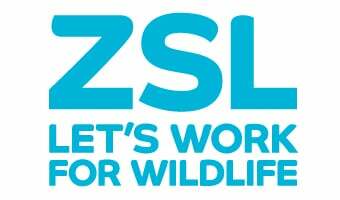 Please contact commercialfilming@zsl.org with your picture requests and details of how you wish to use the image. The image collections form part of our `Special Collections', please look at ZSL Library Regulations for use of 'Special Collections' (236.67 KB)f you wish to come in and consult any of our special collections. Photograph of Obaysch by Frederick York, circa 1870. See John Edwards, author of London Zoo from Old Photographs and Ann Sylph, ZSL Librarian, talking about some of the historical photographs in ZSL's collections Source magazine film about ZSL's historical photographs. Some of John's favourite photographs are featured as Artefact of the month - September 2012 Historic photographs.